Special Containment Procedures: Due to its nature, SCP-1743 cannot be moved and thus requires on-site containment. The entrance to SCP-1743 is to be barred with a series of deadbolts and an electronic lock. The electronic module and deadlocks are to be inspected on a daily basis, and any damages are to be repaired immediately. Personnel are not to enter SCP-1743 for any reason other than to retrieve a disk from SCP-1743-1 and for maintenance. Should any unauthorized individual enter SCP-1743, they should be immediately subdued and treated with a Class-A amnestic. To ensure that personnel do not enter the stage, chain-link fence has been erected surrounding it. Should any individual climb onstage, security are required to alert Site-██ as soon as possible via radio contact. When SCP-1743 returns to its dormant state, the disk held by SCP-1743-1 should be collected and sent to Site-██ for review. Personnel are advised to make no effort to remove subjects from the stage (See Addendum 1743-A). Description: SCP-1743 is a sound stage located at ██████ Studio Center. There are no records of when it was built or who authorized its construction. Those employed at ██████ Studio Center have no memory of how it came to be. For the purpose of a cover story, those employed at the ██████ Studio Center have been convinced that the building was abandoned after a fire in 1987. SCP-1743 goes into its active state when a human subject goes onstage. The stage may only be entered via the audience area as the backstage area cannot be entered or observed by any means. After entering the stage, subjects are completely unable to return to the audience. Rather than knowing their situation, subjects will perceive nothing beyond the stage; they will instead believe they are going about their daily lives as normal. The backgrounds and environment of the stage will change to fit these delusions. SCP-1743-1 is a standard television studio camera that will record the stage nonstop when SCP-1743 is in its active state. Remarkably, it is capable of storing all information on a single DVD, which is retrievable subsequent to SCP-1743's return to a dormant state. Where SCP-1743 keeps its DVDs and how these DVDs are capable of storing so much information is unknown, as SCP-1743 usually remains in its active state for several days at a time. SCP-1743-2 are humanoids which appear onstage during the active state. These humanoids resemble various people whom the subject is acquainted with, mimicking features such as voices, facial hair, personalities, etc. 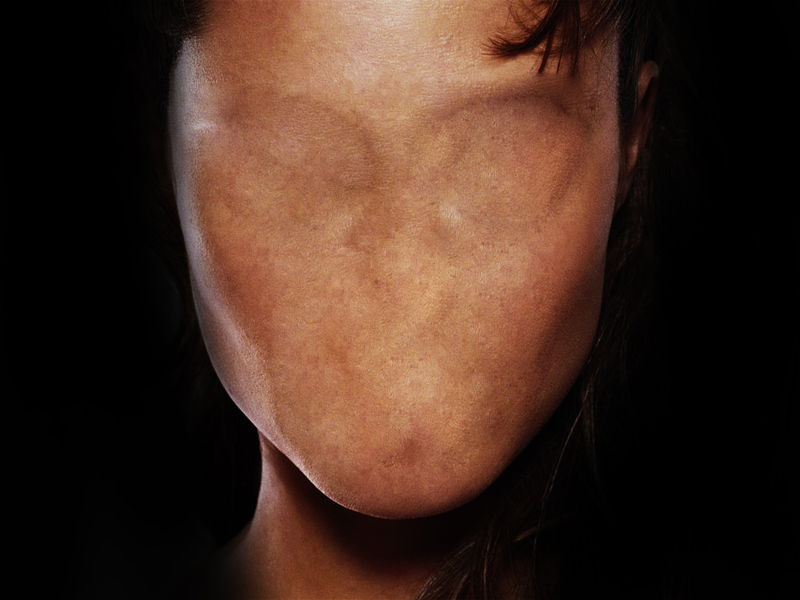 The most defining characteristic, however, is the complete lack of any facial structure, such as eyes or a mouth. Yet, instances of SCP-1743-2 are somehow able to speak without a mouth, and subjects onstage seem to not notice the lack of facial features. As more time progresses, SCP-1743-2 instances will progressively act more cruel toward the subject, assaulting them, shouting insults, etc. On ██/██/██, an attempt was made by Agent ██████ to recover Dr. ████ from SCP-1743 with a mechanical winch and a length of rope tied into a lasso, with the intention of pulling Dr. ████ offstage. However, the machinery malfunctioned and Agent ██████'s leg was caught in the wire rope, pulling him onstage. When onstage, Agent ██████ attempted to warn Dr. ████ of SCP-1743's influence, but was stopped by two instances of SCP-1743-2 resembling Foundation Security Personnel. Agent ██████ was then taken backstage, and has since not been recovered. From this incident, it is presumed impossible to remove subjects from SCP-1743 and will only result in the rescuer being pulled onstage themselves.